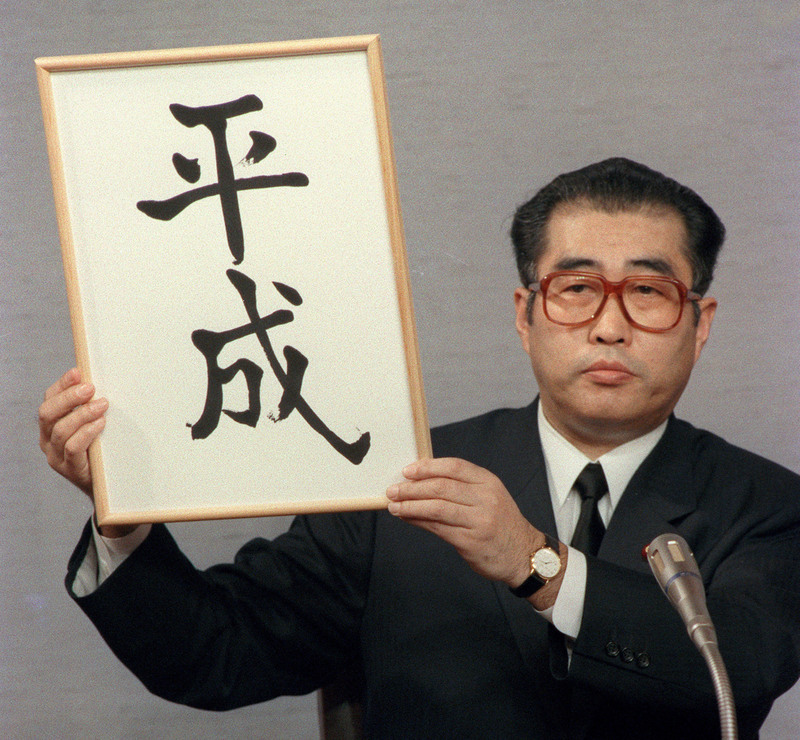 The Heisei Era was heralded by the announcement on Jan. 7, 1989, of its name by then-Chief Cabinet Secretary Keizo Obuchi, who solemnly displayed calligraphy of its kanji at a televised news conference. The proclamation, which came hours after the death at age 87 of Emperor Hirohito, posthumously known as Emperor Showa, remains one of the most memorable moments of the era and had been in the making for more than three months. On the morning of Sept. 20, 1988, after Emperor Hirohito threw up blood the previous night, Junzo Matoba, head of the Cabinet Councilors’ Office on Internal Affairs, was summoned by Prime Minister Noboru Takeshita. Matoba told Takeshita that three candidate names had been picked behind closed doors for the new era name, or gengō, to replace Showa: Heisei, Shubun and Seika. 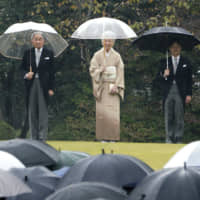 In the Prime Minister’s Office, which was in close contact with the Imperial Household Agency, a key question was raised in December about what to do about the name change if the Emperor were to die toward year-end. The first year of the Showa Era lasted only seven days after the Taisho Era came to an end because Emperor Taisho, the father of Emperor Hirohito, died on Dec. 25, 1926. Deputy Chief Cabinet Secretary Nobuo Ishihara had been advised by former Chief Cabinet Secretary Masaharu Gotoda to use Showa through the end of 1988 if Emperor Hirohito died during the last days of the year. 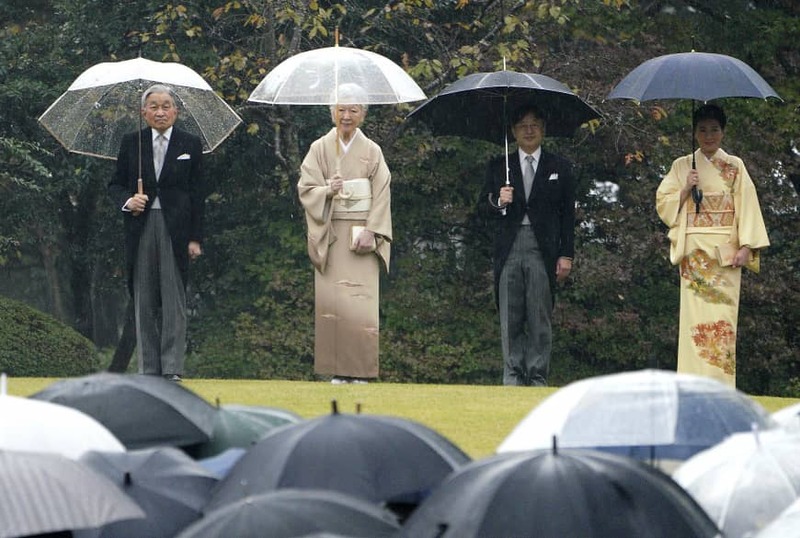 A week into the 64th year of Showa, at around 5 a.m. on Jan. 7, 1989, Teijiro Furukawa, chief counselor of the Cabinet Secretariat, was informed by the Imperial Household Agency that the Emperor was in critical condition. Furukawa called Takeshita, who was in a government car, and advised him through a secretary to change course from the Prime Minister’s Office to the Imperial Palace. The prime minister managed to see him before he died. After a panel agreed on Heisei for the new era name, Obuchi and Ishihara went to the Diet and told the heads and deputy heads of both chambers that the government hoped to adopt the name of the new era at the coming Cabinet meeting. Heisei, which originated from the Chinese classics, means that if peace is achieved at home, good relations will be established with other nations. In order to keep the decision secret, they asked the parliamentary leaders not to leave the meeting. Staffers from the Cabinet Secretariat escorted them everywhere, even on trips to the restroom. Shortly before the meeting, Ishihara called Shoichi Fujimori, grand steward of the Imperial Household Agency, to ask him to inform Emperor Akihito, who had just assumed the throne, of the new era name. Following the Cabinet decision, Furukawa sent two officials to the Imperial Palace to hand a chamberlain the original copy of the draft government ordinance on the new era name submitted to the meeting. Immediately before the Cabinet meeting, Obuchi told Junichi Kato, a calligrapher and an official from the Prime Minister’s Office, which was then a government agency, to write Heisei on a piece of paper and frame it. At the news conference, Obuchi held up the rendering before the black ink was dry, revealing the new era name to the media. Kato wrote two versions of the Heisei calligraphy just in case there was a problem, according to Ishihara. The version Obuchi showed the public at the news conference came into the possession of Takeshita, while the other one went to Obuchi. In September 2009, the National Archives of Japan borrowed the version held up at the news conference from the Takeshita family for a special exhibition commemorating the 20th anniversary of the enthronement of Emperor Akihito. Later, after a call from the library requesting the donation of the calligraphy, Takeshita’s widow consulted with Wataru Takeshita, a younger half-brother of the late prime minister and a House of Representatives lawmaker. Wataru Takeshita expressed his support for the proposal and the calligraphy was donated to the National Archives of Japan on March 4, 2010. An 18-carat gold bathtub weighing 154.2 kilograms at a Japanese hot spring resort has been recognized by Guinness World Records as the heaviest on the planet, the resort's operator said.